As the second book to round the buoy toward publication after the disastrous 1998 Sydney-Hobart yacht race--in which six sailors died in a torrential freak storm that overtook 24 boats--Dugard's account, while full of its share of action, takes a more meditative tack than Rob Mundle's Fatal Storm (Forecasts, July 19). 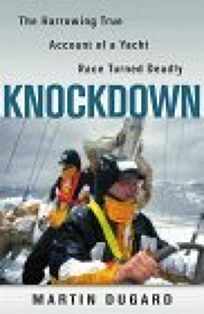 Focusing on 38-year-old Ed Psaltis and his yacht Midnight Rambler, which would eventually limp victoriously into Hobart, Dugard (Surviving the Toughest Race on Earth) probes the nature of adventure and the Australian men and women who seek it. Australia was founded by underdogs, he suggests, with an inveterate lust for the extreme. It's a culture in which ""real sailors"" make it a point of pride not to invest in life rafts, and where the etiquette of ""gentlemen's racing"" discourages skippers from sensibly removing their sails in vicious winds. In the heat of the Sydney-Hobart competition, Dugard notes, one boat unaccountably passed by the sinking Sword of Orion, ignoring Maydays and red flares from a stricken yacht that lost one sailor overboard who was never recovered. Amid such madness, Dugard pauses to give lay readers welcome explications of sailing jargon, as well as elementary lessons in the geometry--or perhaps it's really alchemy--of waveforms. He also dips into the blustery controversy surrounding Australia's Bureau of Meteorology, which many sailors blamed for offering sketchy details about a cyclone forecasters sensed was brewing. As in Fatal Storm, however, few lessons emerge from a tragedy that seems only to make the danger of blue-water racing all the more seductive. (Sept.) Copyright 1999 Cahners Business Information.